Wireless Terminal Solutions is a market leader in supplying short term Chip and PIN machines and our extensive events portfolio shows contracts with over 90% of the UK’s largest consumer exhibitions and outdoor events. Wireless Terminal Solutions supply short term payment card terminal rentals to hundreds of events and exhibitions including the prestigious Southampton Boat Show, Crufts and The Taste of London to name but a few, and our experienced short term rental team have a vast knowledge in what will work best for each event and venue. Thousands of SME retailers and larger multiples have taken advantage of the benefits associated with our short term card machine rental. Our short term hire on card machines is designed to offer a cost effective reliable payment solution, helping to increase your profits at each event you attend. Allow Wireless Terminal Solutions to support your business ahead of your event and to guide you through the step by step process needed to get you up and running and securing card payments, eliminating the need to take cash and cheques to the bank. With the introduction of contactless technology, the popularity for customers looking to pay by debit and credit card is growing year on year. Wireless Terminal Solutions’ card processing machines are contactless enabled, eliminating lengthy queues and reducing transaction times. It takes a matter of seconds for the lights on the card machines to illuminate, confirming that the transaction has been approved. There is no need for the traditional Chip & PIN, nor the need for signatures. Using contactless payments is a sure fire way to improve customer service and help eliminate lengthy queues during peak periods. In today’s fast paced event industry, some customers will favour different types of payment, and if your business accepts card payments as an option, you are potentially opening the door to a new client base. More and more people are looking to pay by card, and the amount of people paying by cash is dropping year on year with many of the tech savvy younger generation preferring to pay by card or apps. Wireless Terminal Solutions supply card machine solutions to all exhibition centres in the UK including Earls Court, Olympia, Excel, NEC, SECC and others. Wireless Terminal Solutions have worked with the BMF and National Boat Shows for their prestigious shows – The London Boat Show and The Southampton Boat Show – for the past four years. Held at Docklands Excel and Mayflower Park respectively, the shows are regularly attended by over 210000 people. SIM connection is all important to shows such as these and we have a proven track record for reliable card terminal connection all across the UK. Wireless Terminal Solutions are proud to have provided mobile / GPRS terminals & Bluetooth card machines on a short term hire contract to both the exhibitors and organisers attending the shows. Our Ingenico IWL220 mobile/GPRS unit offers a convenient solution to taking payments quickly, and eliminates the needs for hard wired cables. Our short term payment card terminal service has been designed with unequivocal flexibility at the forefront of each solution. Most importantly we always provide flexibility to the customer. Our short term debit card terminals are typically delivered at least two days before the requested date using our next day courier service and technical support comes free with each rental. We supply a variety of point of sale card machines and our selection of wireless payment card machines includes mobile GPRS, Wi-Fi credit card machines, Portable or Bluetooth, and the traditional countertop card machine, all of which are suitable for any organiser and exhibitor depending on the setting they’re in. Our handheld credit card machine solutions enable customers to take payments on the move, without necessarily needing an internet connection, making paying for goods easier than ever for your customers. Why not also consider placing an ePOS system to run alongside your short term hire card machine rental. Our ePOS solutions have seen us become one of the UK’s top providers in ePOS rental, and we offer all-in packages. What are the advantages of accepting card payments at an event? One of the key aspects to accepting cards at events is also the added security. Having little cash onsite has its advantages, and card payments can help enormously with this. Not only are the risks on-site such as theft, damage or accidental loss to cash stocks eliminated, but elements such as trips to make deposits to banks can be taken out of the equation freeing up more time for you and your colleagues to focus on the business and the event itself. What Card terminals work best for an exhibition? Our exhibition and event clients trust us to provide them with the right types of credit card machines each time and every time, and this is due to the unrivalled reliability of the credit card machine devices we supply in comparison to our competitors. How Long Can I rent a card machine for? At Wireless Terminal Solutions, we cater for any rental requirement on a debit card machine, with our short term PDQ terminals rental starting from as little as one day to one year. We also provide cost effective merchant solutions tailor-made for each exhibitor meaning no lengthy contract is required for any event. Perhaps you are a start-up business and you’re not sure where to start? By choosing Wireless Terminal Solutions, you can rest in the knowledge that you’re in safe hands, as we excel at supporting small businesses with our credit card machine services and over the years have helped thousands of customers by offering the best rates on a credit card machine. To learn more or to get a FREE quote, please contact us today on 0345 459 9984 or email sales@wirelessterminalsolutions.co.uk. 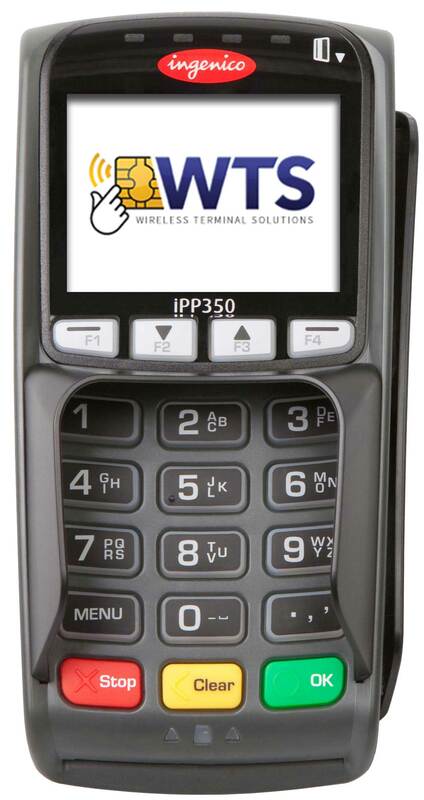 For additional information or if you would like a free quote for a short term payment card terminal hire or any of our other solutions, contact one of our consultants today on 0845 459 9984 for more information, or email sales@wirelessterminalsolutions.co.uk. Wireless Terminal Solutions have provided the BMF and National Boatshows for the past 4 year’s with resounding success. The terminals are everything we need for our shows and WTS go above and beyond to ensure the shows run successfully for both us and our exhibitors. Whether it be GPRS Terminals or Bluetooth Units we can rely on WTS to provide a solution for us. Connectivity can be a problem at our venues but the terminals WTS supply are so reliable we have no concerns and our exhibitors are extremely happy with the service they receive.